Tuesday 11th October, also known as Ada Lovelace day, is an international day of celebration for the achievements of women in science, engineering and maths. The day aims to increase the profile of women in STEM, create new role models for women and encourage more girls into STEM. 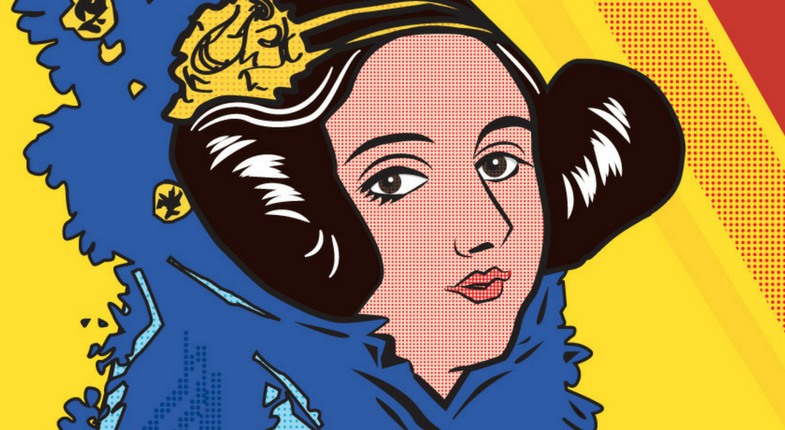 But who is Ada Lovelace and why is she so significant? Credited as the founder of scientific computing in an era when the participation of noblewomen in intellectual pursuits was not widely encouraged. She collaborated with Charles Babbage, identifying his calculating machine for its potential to manipulate symbols rather than just numbers, foreshadowing modern computing a century in advance. The Chief Operating Office of Facebook, a company made up of only 33% women and 67% men (with only 17% of women in technical roles) is arguably one of the biggest and most well known tech companies in the world. Sandberg is powerful not only as a top executive for the world’s fifth most valuable brand, but also as a voice of female empowerment in the workplace. Largely forgotten and overshadowed in history, Clarke worked alongside Alan Turning as a fellow cryptanalyst and codebreaker in Hut8 during WWII at Bletchely Park, and received an MBE in January 1946 for her contributions during the war. Clarke succeeded as a female cryptanalysis at a time when intelligence wasn’t really appreciated in women. A two time Nobel Prize winner in theoretical computer science, Goldwasser helped pave the way for other women in the technology industry. Her biggest and most noted achievement to date is her work on interactive and zero proofs which serve to allow secure transmission of information over the internet. From Cleveland, Ohio, Keller was the first woman in the United States to receive a PhD in Computer Science in 1965. Keller founded the Computer Science Department at Clarke College in Iowa, establishing a master’s degree program for computer applications in education. Her vision extended beyond education and reached toward artificial intelligence, intrigued by the mechanical stimulation of the cognitive process. Sometimes dubbed as the “Mother of the Internet”, Perlman is most famous for her invention of the Spanning-tree protocol (STP) which is fundamental to the operation of network bridges. Her work transformed the Ethernet protocol from using a few nodes over a limited distance, into something able to create large networks.